The Belong™ platform combines superior hearing performance with progressive battery technology. Each device contains a built-in lithium-ion rechargeable battery capable of providing 24 hours of power from a single charge. The rechargeable battery creates an easy handling experience and eliminates the hassle of disposable batteries. The AutoSense OS™ technology within the devices offers better hearing performance in a variety of noisy environments, including better speech understanding. The Audéo™ Marvel is a first-class hearing device that gives you crisp hearing and so much more. 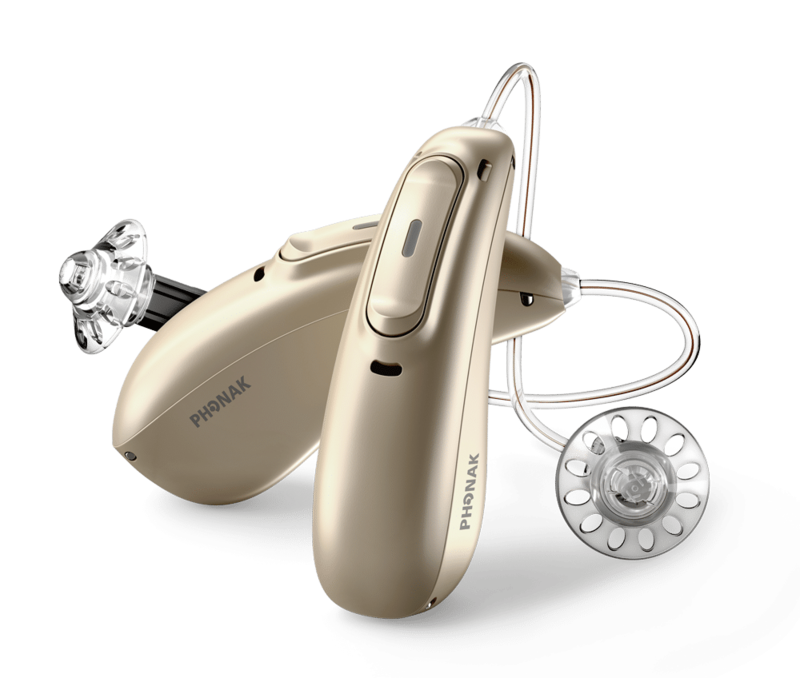 These multifunctional hearing aids deliver excellent sound quality, are easy to use and are packed with convenient hands-free features making hearing – and your life – easier. The Phonak Audéo™ B-Direct features cutting-edge technology that allows you to connect directly to any Bluetooth™ cellphone. You can answer calls with a simple push of a button, without ever touching your phone. With the new TV Connector, you are able to turn your hearing aids into wireless television headphones. Phonak rechargeable hearing aids were created to free you from the hassles of disposable batteries. Each device contains the groundbreaking built-in lithium-ion battery technology, which provides you with 24 hours of hearing with a simple three-hour charge. This technology provides 40 percent more power than traditional rechargeable batteries. Call Hearing Systems at (281) 855-8916 for more information or to schedule an appointment.